A mass of bicyclists blocked traffic during the first-ever “wiggle stop-in” on the popular bike route in San Francisco’s Lower Haight and Duboce Triangle neighborhoods during the evening commute Wednesday to protest the Police Department’s enforcement of a law requiring cyclists to come to a full stop at stop signs. The stop-in led to significant traffic delays in the area as cyclists waited their turns at all the stop signs on the route. Streets that make up the “wiggle” bike path, including Duboce Avenue, Scott Street, Waller Street, Pierce Street and Haight Street, had traffic at a standstill beginning around 5:30 p.m. The protest was organized by members of the group The Wigg Party who describe themselves as “urban sustainability guerrillas” and said their hope is to change the law to not require cyclists to come to a complete stop. The group said additional “wiggle stop-in” events might be necessary to get the point across. The San Francisco Bicycle Coalition is also pushing back against a crackdown by the San Francisco Police Department’s Park Station officers on bicyclists who flout the rules of the road. 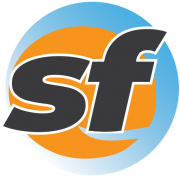 The SFPD’s Park Station has stated that their officers will be on the lookout for bicyclists in violation of the rules of the road. According to the San Francisco Bicycle Coalition, this crackdown is a “significant departure from the SFPD’s Vision Zero Commitment” and argues that the crackdown “risks lives by diverting resources away from the deadliest traffic violations.” Vision Zero was adopted in San Francisco last year and aims to eliminate all traffic-related fatalities in the city by 2024. 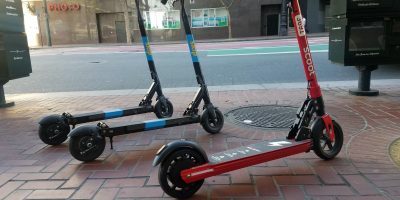 Chris Cassidy, the San Francisco Bicycle Coalition’s communications director, said the crackdown would be at odds with Vision Zero, which is why the bicycle coalition has launched a petition to stop the Park Station from moving forward with it. Police Chief Greg Suhr said hours prior to the bike-in that stopping at stop signs is still the law in San Francisco and needs to be enforced, but he noted that less than 1 percent of all citations go to cyclists. Mayor Ed Lee shared Suhr’s view, expressing support for the Police Department’s decision to enforce the law on cyclists, as well as motorists.